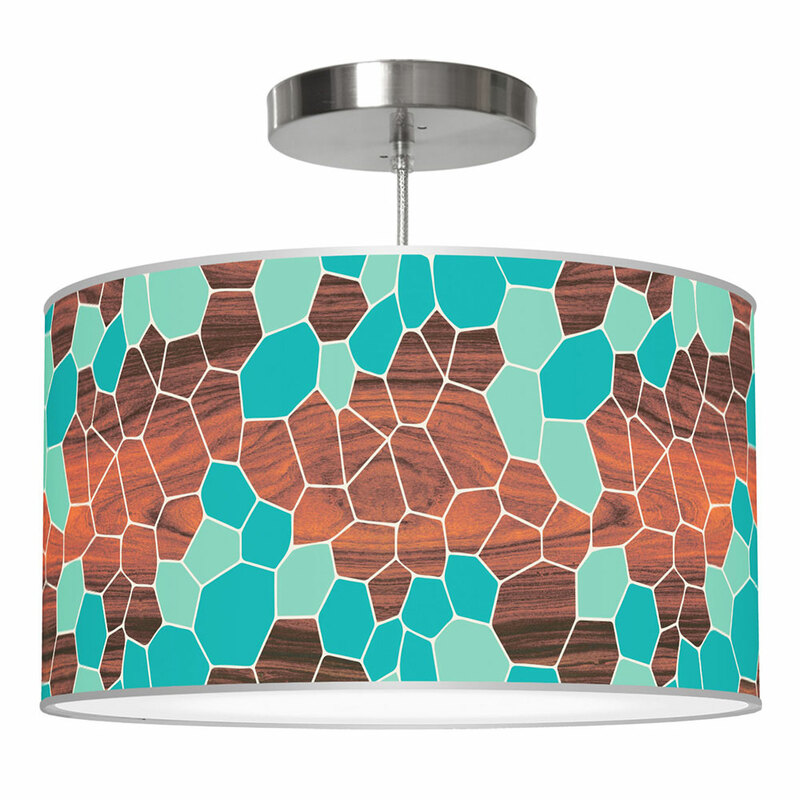 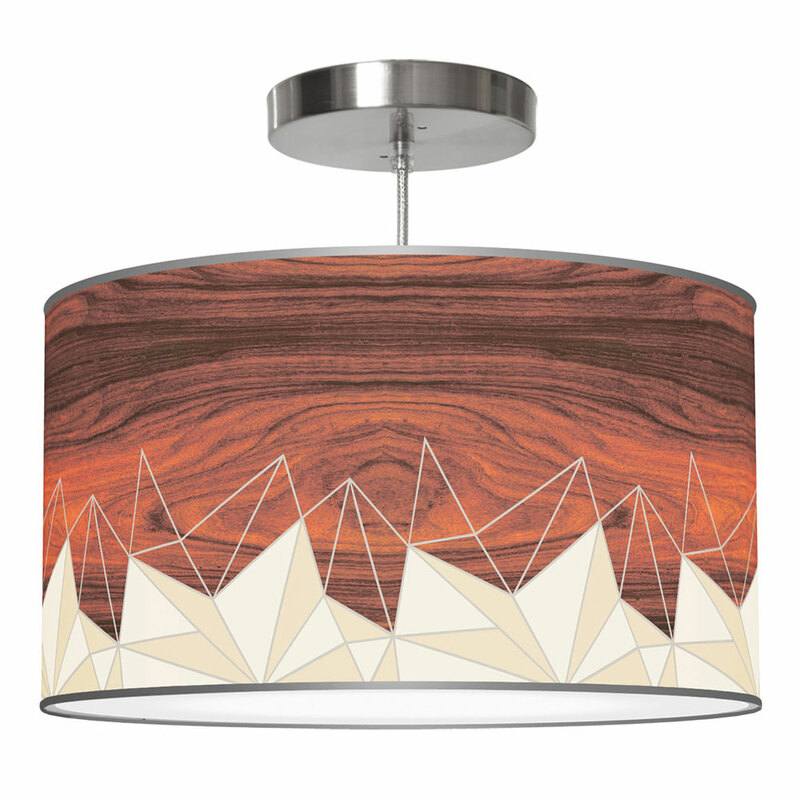 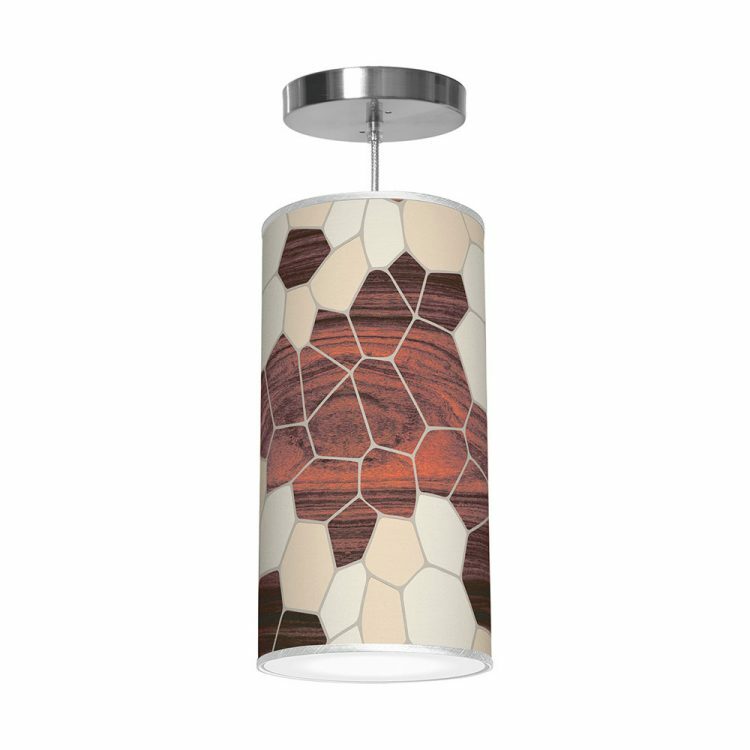 Multi-colored geodesic shapes are scattered throughout this vibrant geode design. 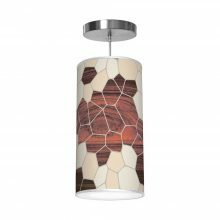 A grouping of our cylindrical printed shade pendants makes a great statement in restaurants and office spaces. 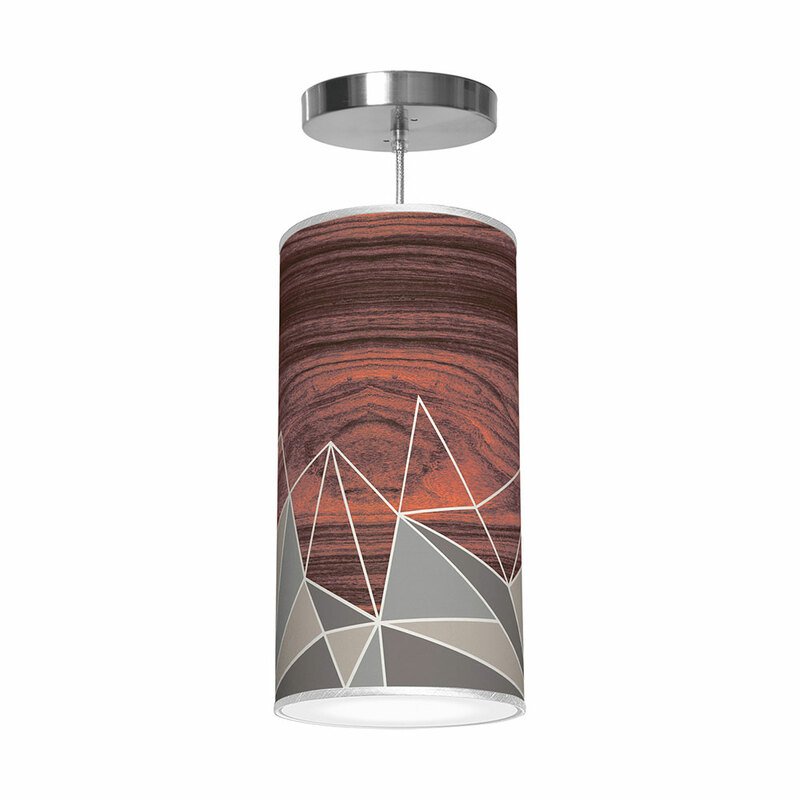 Available in 3 color options and 4 sizes. 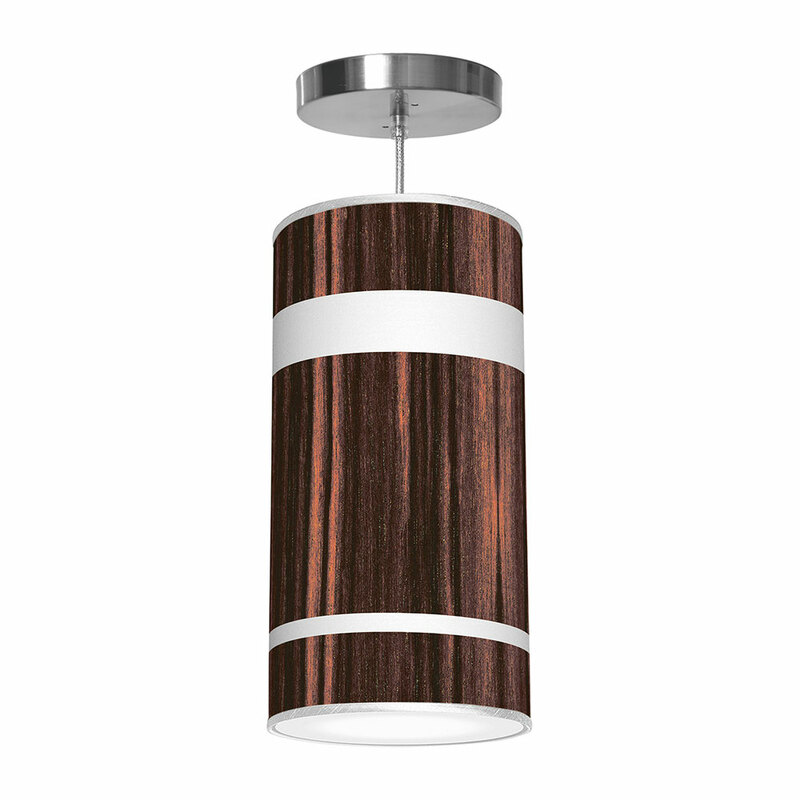 The warmth of wood embraces a sleek and modern design. 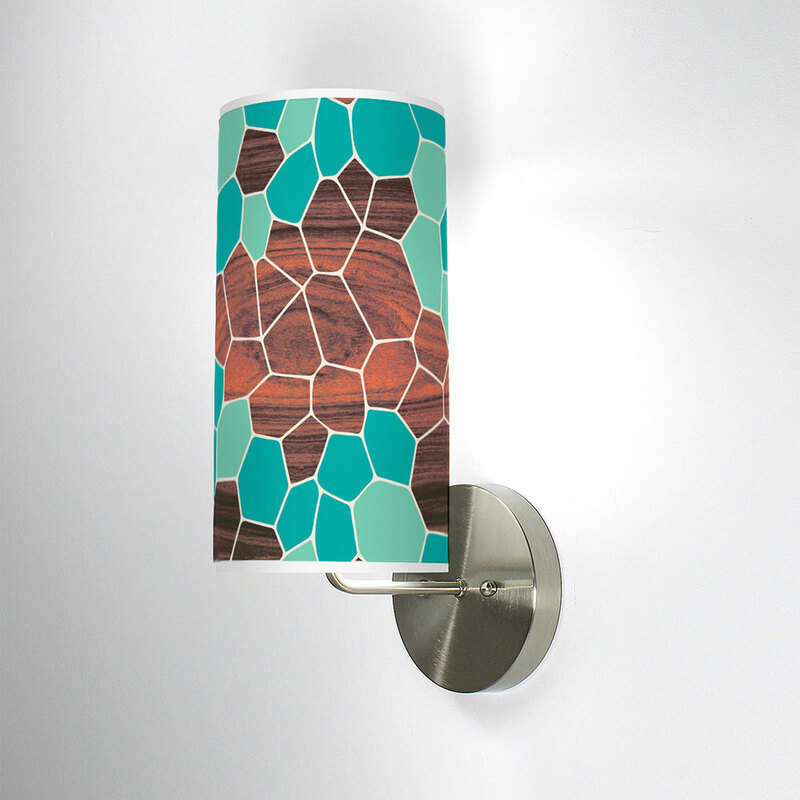 Each design is digitally printed on crisp white linen. 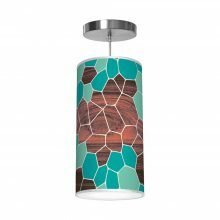 These modern printed shade pendant lamps are translucent when lit to enhance the beauty of your space. 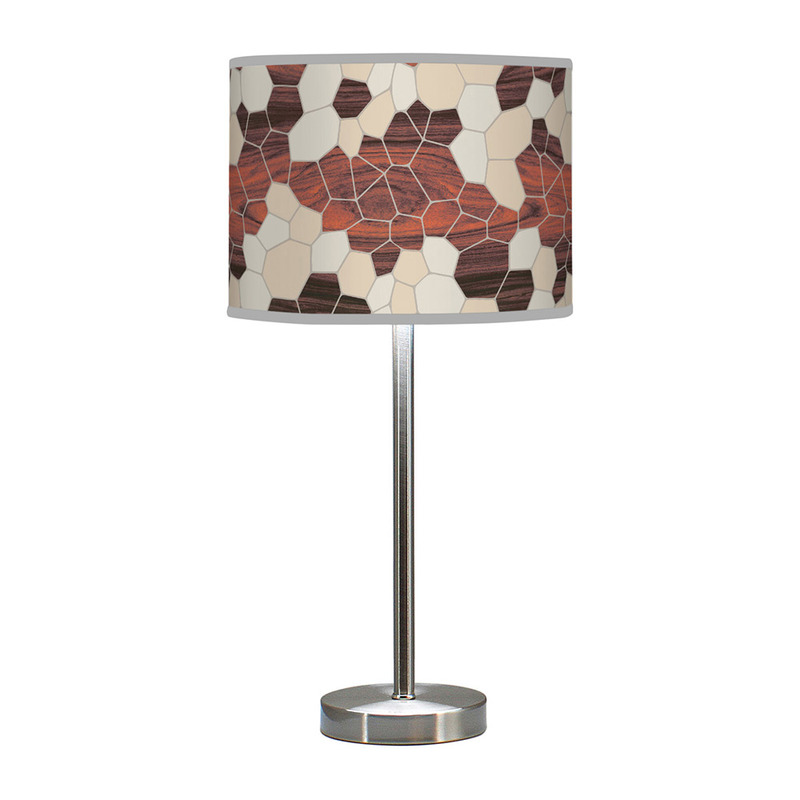 Light is gently diffused by the fabric bottom.